Do you want to limit sales to a specific number of tickets only? We’ll show you how to do in this page. Open your Event Ticket product and select the Inventory tab. 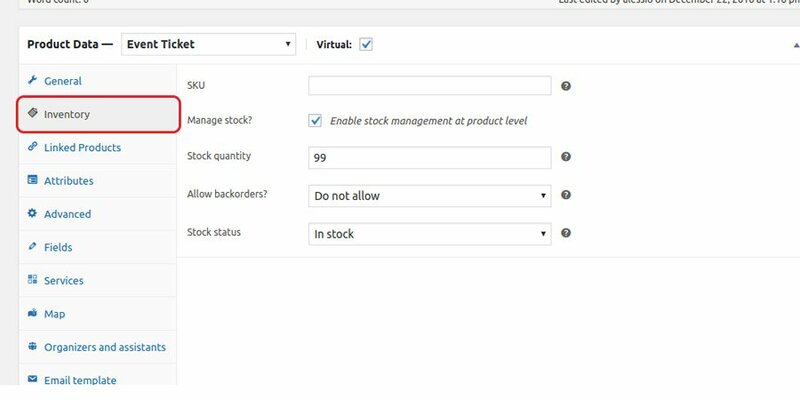 Enable the Manage stock option and set the available quantity as in the following image. WooCommerce will automatically decrease the quantity upon each new sale.